By 'indirections', Kenneth Graham means 'the deployment of a radically new openness, obliquity, and contradictoriness of narrative forms, both in the large-scale movements and in the smallest details of descriptive language, scene, and dialogue'. 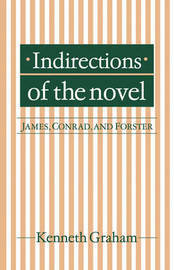 The three masters of indirection in the early modern novel are Henry James, Joseph Conrad and E. M. Forster. Though very different from each other, each employs a technically innovative style which articulates a response to a world of uncertainty and danger. 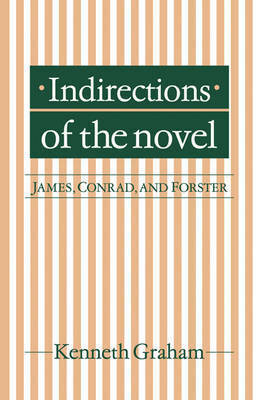 Professor Graham's study follows this common outlook through analyses of eleven narratives including James' What Maisie Knew and The Golden Bowl, Conrad's Heart of Darkness and Nostromo, and Forster's Howards End and A Passage to India. It does so in an empirical critical idiom which seeks to combine textual awareness with a concern for referentiality and for a common language of literary response.